These machines are engineered to be user-friendly with a simple, open design and efficient layout that requires less time on daily service checks and more time on the job. Wacker Neuson is launching its Series II large frame skid-steer and compact track loaders to the market in early 2019. The new SW24, SW28, ST35 and ST45 offer the latest enhanced cab design and service accessibility. As the big brother to the company's medium frame line, the machines offer parts commonality and contractors a proven design on the jobsite. The company says that Wacker Neuson's new large-frame loaders will stand out in a crowded field for their best-in-class daily maintenance service access. They offer the only cab that fully tips forward with the loader arms down, providing complete access to all maintenance components. These machines are engineered to be user-friendly with a simple, open design and efficient layout that requires less time on daily service checks and more time on the job. The Kohler diesel engines feature a maintenance-free, regeneration-free aftertreatment system, eliminating the impact of extreme heat and downtime due to regeneration or the need for cleaning particulate filters. 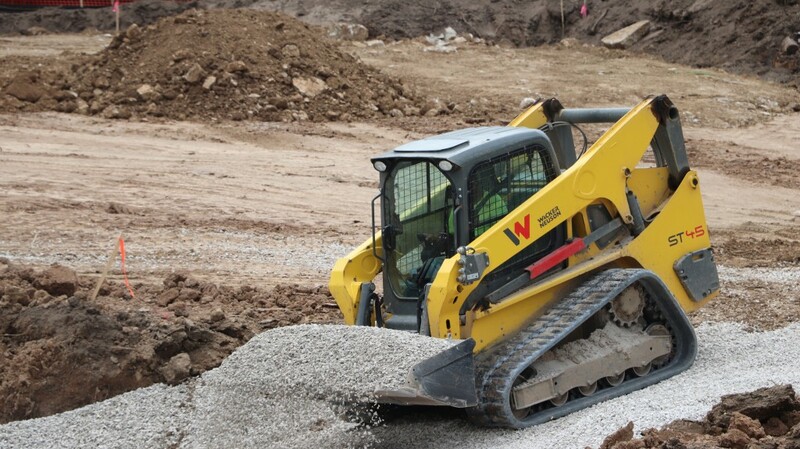 Wacker Neuson's Series II large frame loaders include two skid steer models (SW) and two compact track loaders (ST). The SW and ST Series II loaders usher in a new era of comfort features including repositioned joysticks that promote intuitive and comfortable operation. The high visibility cab includes angled pedals and foot bed, as well as conveniently located switches that significantly reduce operator fatigue. Access in and out is easy with a wide door and step, plus there is no restrictive lap bar. Control options for any operator include mechanical hand-foot (SW models), electric-hydraulic (EH) hand-foot and selectable EH (ISO and H-pattern). This ensures operators with varying experience can efficiently operate the machines with ease. Designed and built at Wacker Neuson's Menomonee Falls, Wisconsin, facility, the wheeled and track models can handle every job. The vertical lift models offer class-leading hinge pin height and all models features the largest fuel tank in its class, 40 gallons, with an optional 50-gallon tank for track loaders, giving operators more time in the cab and less time spent refuelling. All models also feature a variable speed cooling fan that provides on demand cooling of the engine, which maximizes efficiency, improves fuel economy and assists in cold starts. Wacker Neuson's Series II large frame loaders include two skid-steer models (SW) and two compact track loaders (ST). All models are powered by a 74.3-hp Kohler diesel engine and offer standard auxiliary hydraulic flow of 22.1 gallons per minute and optional flow of 31.7 gallons per minute. An updated 5.7-inch full-colour display is standard on most models (optional on SW models with mechanical hand-foot controls) and offers owners and operators expanded functionality that allows for a variety of customizable options and controls. A rear-view camera can be added and set for back-up only or on at all times, giving the operator exceptional visibility on the jobsite. Wacker Neuson skids steers and compact track loaders are covered by a 3-year standard, 4-year powertrain and 5-year electrical system warranty that provides peace of mind and assurance that these machines are designed and built to last, providing an excellent return on investment.